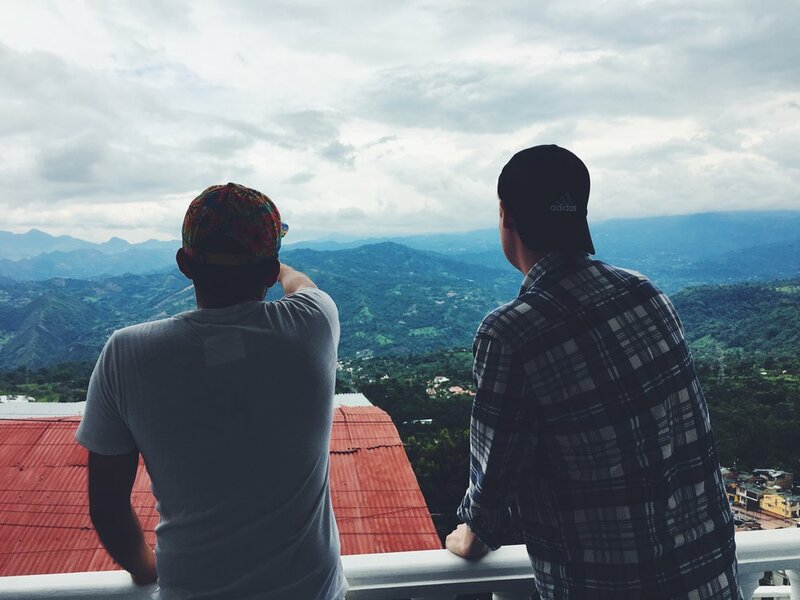 During the four months I spent in Ecuador for my semester of study abroad, we saw a wide expanse of the country. We saw the cities of Quito and Guayaquil, and we lounged on the beaches of the Galapagos and Montañita. But some of my favorite moments of exploration were visiting the small towns tucked away in the mountains or jungle, often times where indigenous culture has remained much more intact than in the mostly westernized cities. It's there - away from all the tourist attractions and modern comforts of city life - where a country's culture really comes alive. The people you meet are genuine and traditional, and the experience you have will be, too. For this reason I knew I wanted to see more of Colombia than just Bogota. But where? I had heard wonderful things about Cartageña, but that was another giant city, and not to mention 11 hours away by bus. Medellín, perhaps, to visit the coffee region - but that was a lengthy bus trip as well. Just as I was looking into tickets to Medellín, a friend of mine reached out with the offer to put me in touch with a friend of a friend who lived in La Mesa, Colombia. She said, "I thought La Mesa would be a cool 'off the beaten path' place to visit. It'd give you an insider look at a quintessential small town in Colombia, not to mention you'd have a local showing you around. Plus it's GORGEOUS." I was sold. Getting there was an adventure in itself. We went down to the Bogotá bus station and bought (what we were pretty sure were) the right tickets. We hopped on a charter bus with what was definitely an illegal amount of people, and headed west from the city. When we arrived in La Mesa about an hour and a half later, we weren't dropped at a bus station but rather just on a city street - but found our way to the city square to meet our friend-of-a-friend just the same. Cesar was a true gent - helped us check into our hotel on a reservation he had made for us and all. And right then, the hiking began! Our first day in La Mesa, we hiked seven miles through the countryside - past rural homes far from town, with families celebrating Easter (or Pascua) weekend with delicious smelling food and a steady beat of Colombian music. We hiked past a little outdoor bar with a dirt floor and a few plastic chairs and tables, and one of the patrons enjoying a beer asked us where we were headed. "That's so far!" He said. "But that's the point!" we responded. We laughed and chatted a bit more, and headed on our way. 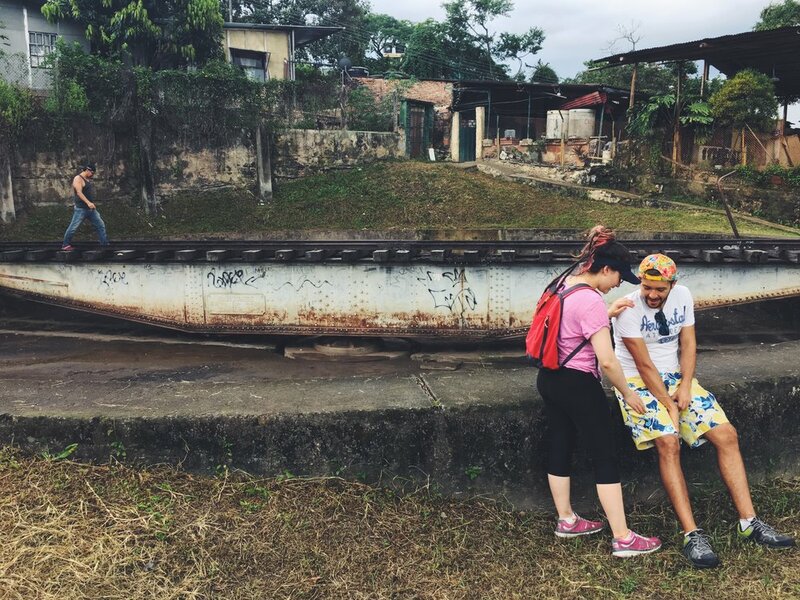 Our hike took us by an old railway turntable, from the time when trains were one of the most reliable ways to travel Colombia. Though now long abandoned, our friend mentioned that the liberal presidential candidate hopes to bring back the railways through renovation and modernization, so perhaps there will be a time when the turntable will operate again. Our second day of hiking was shorter, but much more strenuous. 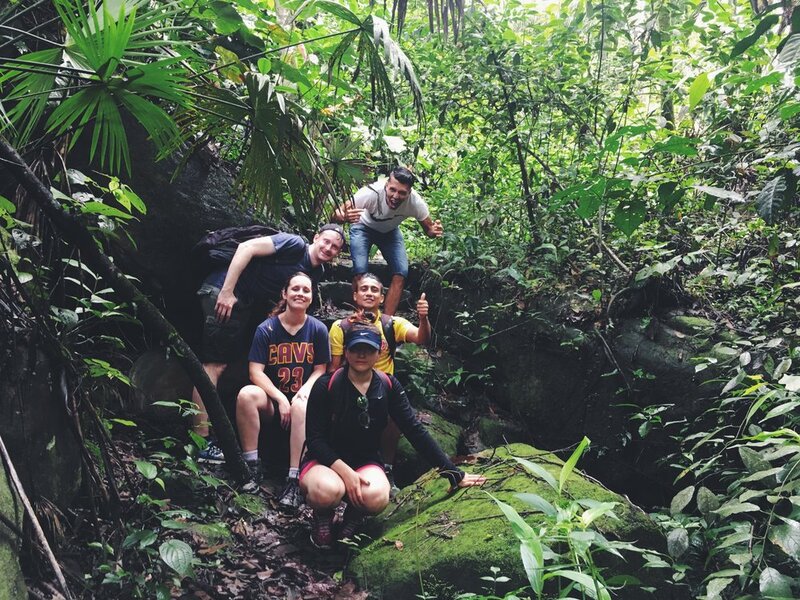 As we trekked through a rainforest in the direction of a waterfall, we took the trail a bit too far and ended up having to cross a river in order to avoid backtracking. We were soaking wet and partially covered in mud, but the payoff to see not one - but two stunning waterfalls was well worth it. I can't help but think back on how lucky we were to have been connected with Cesar and his friends who so kindly hosted us for a weekend. Someone who had never met us before so willingly took us to his favorite hiking spots, took us out for lunches and late night drinks, and even helped me find the melcocha candy I was looking for. He introduced us to his friends, and they all put up with our clunky Spanish the entire time we were together. It really was one of the most unique experiences while traveling - and in a certain way, was just the extension of an already friendly Colombian culture we had come to know. 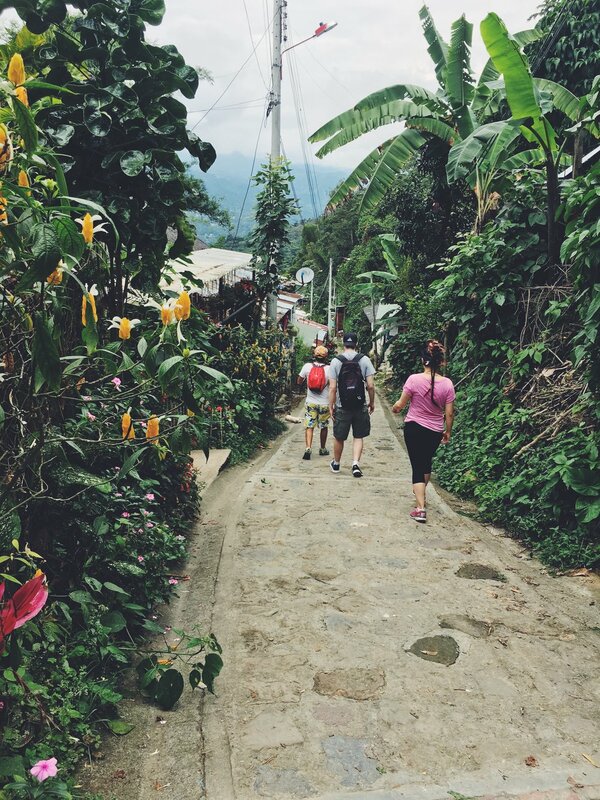 To say the least, hiking the Colombian countryside just outside of La Mesa was one of the highlights of our trip. And if there's one bit of advice I could give after our experience, it would be this: trust your gut, and take the leap. It will all pay off in the end.